Friends of Snodgrass Mountain is a group of concerned citizens who prefer that Snodgrass Mountain remain lift-free and in public hands. 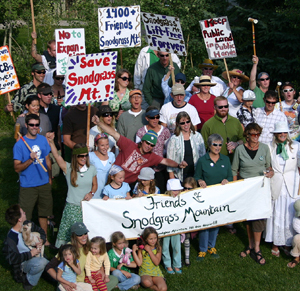 The Friends of Snodgrass Mountain intend to preserve the current undeveloped state of a lift-free, publicly owned Snodgrass Mountain. As stewards of our public lands, it is our responsibility to preserve these lands now and for generations to come. We believe that Snodgrass Mountain is more beneficial to our economy, our quality of life and our environment without ski lifts. If you are interested in learning more about us or making a donation, please contact friendsofsnodgrassmountain@gmail.com.